ATTEND METALCON AND SHOW YOUR METAL!! ATTEND METALCON AND SHOW YOUR METAL! METALCON is the largest international event in the metal construction industry, and the only annual tradeshow and conference devoted entirely to the application of metal in industrial, institutional, light commercial and residential projects. Its success is based on three key methods of education: exhibits, an extensive conference program and interactive, learning opportunities. 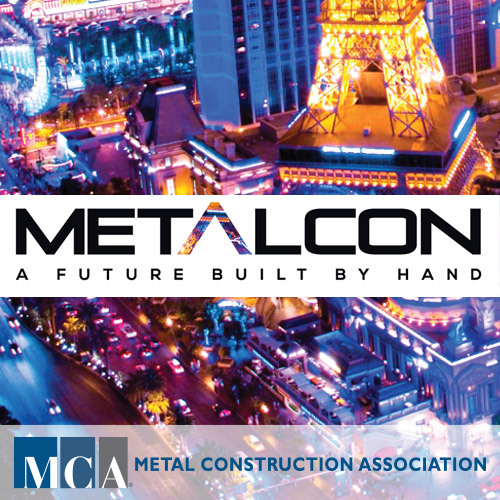 This year, METALCON is in Vegas adding to the fun! For more information, visit http://www.metalcon.com or call 800-537-7765.